Dressing appropriately for the weather is important, but it's not something to which we often give much thought. When the weather is hot or pleasantly cool, dressing for comfort is easy and intuitive. When the temperatures dip, though, the right way to dress for staying warm isn't always obvious. You probably know you need layers, but how does layering actually work? A good first place to start is with mens thermal tops. With comfortable clothing like a thermal singlet, you can create a warm wardrobe that keeps the cold at bay. The Baselayers collection of mens thermal Tshirts is an excellent fit whether you need to stay warm indoors or outside. Made of pure superfine Merino wool sourced directly from Australia, all of our mens tops exhibit a high level of comfort. The 18.5 micron wool retains a soft feeling even when close to your skin. A garment that is comfortable is essential for layering effectively to trap and retain your body heat, which is crucially important for staying warm. 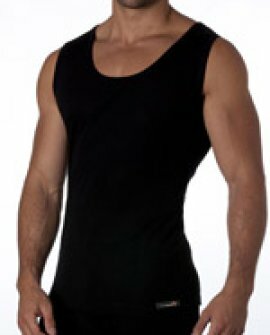 Perhaps one of the nicest features of a Baselayers mens thermal singlet is its anti-bacterial property. 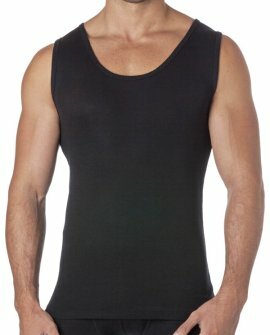 Merino wool naturally inhibits the growth of bacteria, keeping your singlet fresh and free from bad odours. When you make the decision to buy mens thermal tops from Baselayers, how can you use them effectively? The good news is that layering is actually quite easy. Begin with one of our tshirts or a singlet if you prefer. This is your first layer: the "Baselayer." As we've mentioned, this is the layer that ultimately serves to keep you warm. Make sure you have a good, snug fit so you get all of the benefits from the fabric. Next comes your second layer of clothing. Buy a cotton or wool shirt to go over your thermal tshirts. This layer will capture the moisture wicked up by the first layer, keeping you feeling fine. When you're headed outdoors, add one final layer as a barrier. Choose a windbreaker or some other type of weather-resistant jacket to keep out the elements. Now you're all set, and you can remove layers as needed. By beginning with a quality top, it's easy to create a comfortable but warm outfit to protect your body from the chilling effects of wind, winter weather, or the office air conditioning. Browse the entire Baselayers collection and buy now! With all that said, we hope you'll find layering your clothing to be just as easy as we've described. 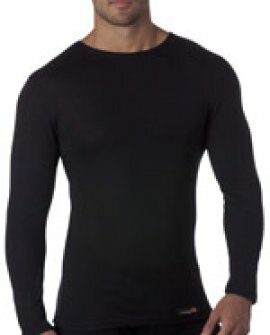 As a leader in mens thermal tops in Australia, Baselayers creates affordable protection from the cold. In combination with the right outer layers, you can feel good and remain effective all day long. There's no reason the cold should slow you down, either because your clothing is uncomfortable or because it's not insulating you properly. Shop now and buy the mens thermal tops you'll need. If there's anything we can assist you with, please don't hesitate to phone us on 3-9818-3000 or send us an email via our contact form. Style No: BP1001 Product Description Long sleeve crew neck. 1x1 rib pure Australian Merino wo.. Style No : BP1001 Product Description Long sleeve crew neck. 1x1 rib pure Australian Merino wo.. Style No: BP1002 Product Description Long John. 1x1 rib pure Australian Merino Wool. Fabric we.. Style No: BP1003 Product Description Athletic, scoop neck. 1x1 rib pure Australian .. Style No: BP1004 Product Description Short sleeve crew neck. 1x1 rib pure Australian Mer.. Style No: B5116 Product Description This is a non-compression garment powered by Celliant. The.. 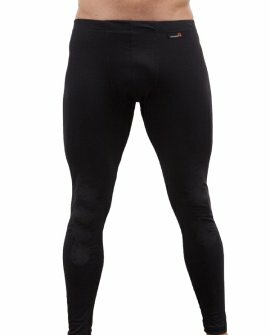 Style No: B5115 Legging Product Description The fabric in this garment is powered by Celliant. T.. Style No B5113 Product Description This is a non-compression garment powered by Celliant. Perf.. 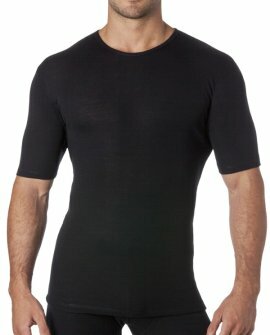 Style No: B5112 Short Sleeve Crew Neck Product Description This is a non-compression garment .. Style No: B5267 Product Description Real protection against the wind and cold. The fabric i.. Style No: B5269 Product Description Real protection against the wind and cold. The fabric i.. Style No: B5299 Product Description All the benefits of wool with the added durability of pol.. Style No: B5255 Product Description All the benefits of wool with the added durability of pol.. Style No: B5256 Product Description All the benefits of wool with the added durability of pol.. Style No: B5252 Product Description All the benefits of wool with the added durability of pol.. Style No: B3503 Product Description Kids long sleeve thermal leggings. 1x1 rib pure Meri.. 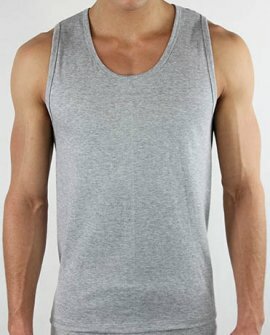 Style: B5011 Product Description: Men's pure cotton tank, binding to neck and armholes Conte..